Nithin is a busy bee these days and he is fast turning out to be one of the most sought after actors in the younger generation. Despite starting with mixed reviews, his recent film ‘Heart Attack’ did quite well in theatres and he is quite happy with the response from the audience. His next film is going to be launched on February 24. Incidentally, Nithin has revealed that the name of the production house has been changed from Shreshth Movies to Srawanaa Movies. Srinivas, a former assistant of Surender Reddy, is going to direct the film and Harshvardhan, who had written the script of Gunde Jaari Gallanthayindhe, is going to write the dialogues for this film and Mukund Pandey will pen the screenplay. 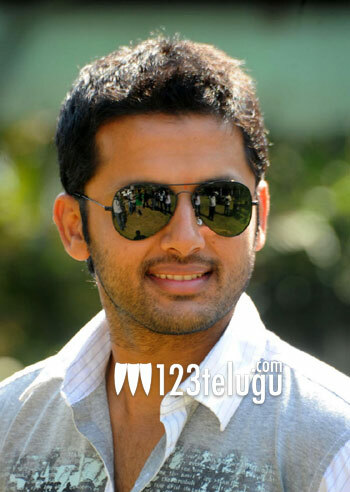 “The film is a commercial love entertainer like Dil,” Nithin said. Mani Sharma’s son, Sagar Mahati will be scoring the music. The film’s title and the lead actress haven’t been confirmed yet and an official announcement is likely to be made soon. Apart from this film, Nithin will also be seen in Courier Boy Kalyan and A Karunakaran’s next film.